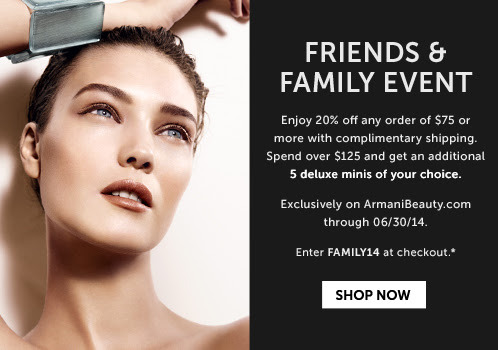 Today is the last day for the Giorgio Armani Friends and Family event. Get 20% off with code FAMILY14 once you spend $75 or more. For an added bonus spend $125 or more and get 5 deluxe samples. 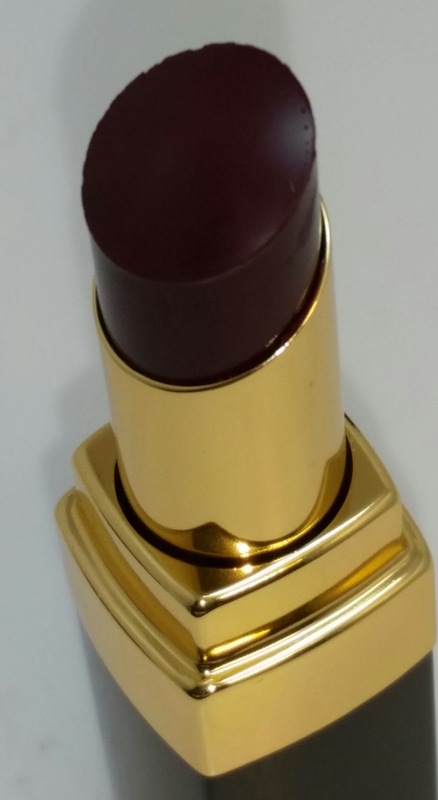 One of the items I've been loving from this brand are the Rouge Ecstasy lipsticks. I currently have 508 Daybreak (check out my review here) so I totally took advantage of this offer and picked up a few more lip products. 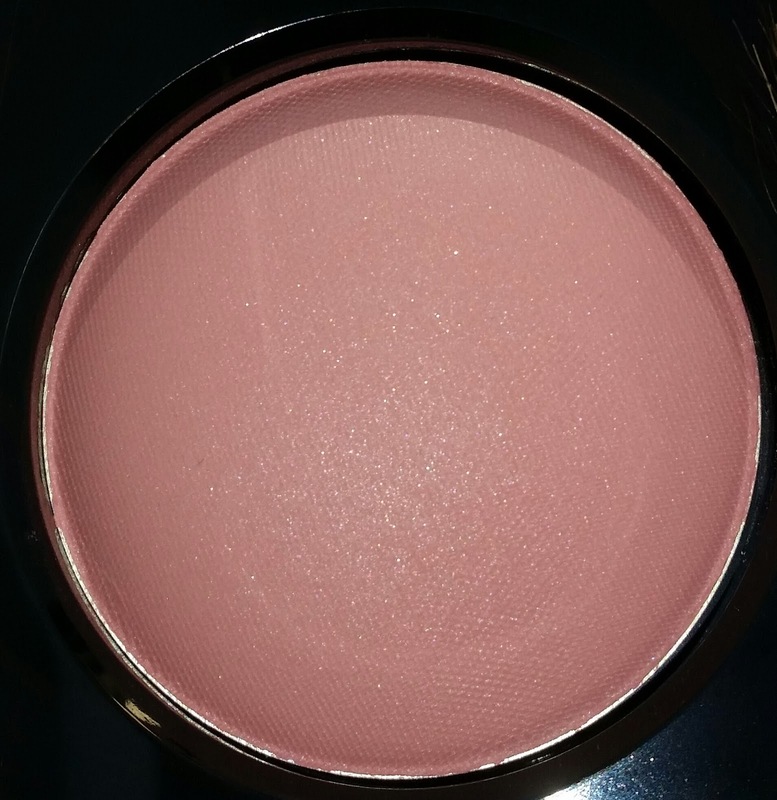 I also wanted a few more Cheek Fabric blushes, I have 506 (check out my review here) so I was going to purchase 503 and 507 but unfortunately they are waitlist only right now. Anyway I'll probably get those later when they are back in stock. Another great item to add to the shopping list are the Fluid Sheers. I have a few of those and they last a really, really long time (I'll post the review links below) and the same goes for the Maestro Fusion blushes too. The last two items I wanted to purchase are a few of the single eyeshadows and a couple of the eyeshadow quad compacts. I haven't tried either one before so these are definitely at the top of my shopping list. 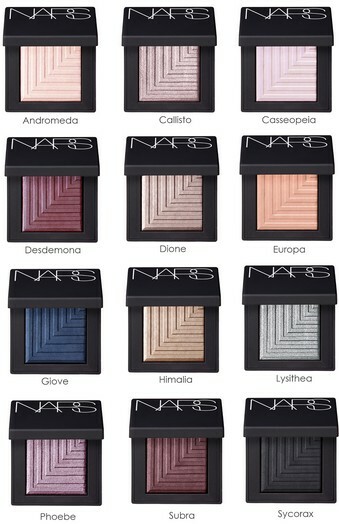 Another new product I'm really excited about are the Nars Dual-Intensity eyeshadows. OMG, they look gorgeous! There are twelve shades to choose from, they retail for about $29 and they contain .05 oz of product. These are shimmer eyeshadows that can be applied dry or wet depending on your personal preference. The eyeshadows are already available for purchase on the Nars.com website but if you need to see it and swatch it in person then they should start popping up in stores starting tomorrow, July 1st. Over the weekend I made a quick trip to Nordstrom for some sandals. I needed a cute pair for the upcoming July 4th weekend only I didn't have any luck finding anything I really liked. 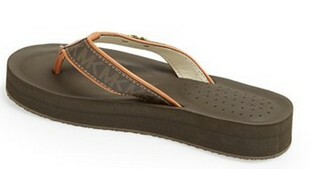 So after I got back home I checked online and I found these: MICHAEL Michael Kors 'Gage' Flip Flops. How cute are they! They come in two different colors: Vanilla and Brown and they were only around $59. 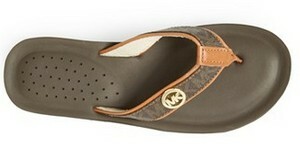 Another bonus is the thick sole (I just hate a flat shoe) and they look so comfy! I'm super excited to be getting these! Now I just need to find a new purse to go with them! Haha! 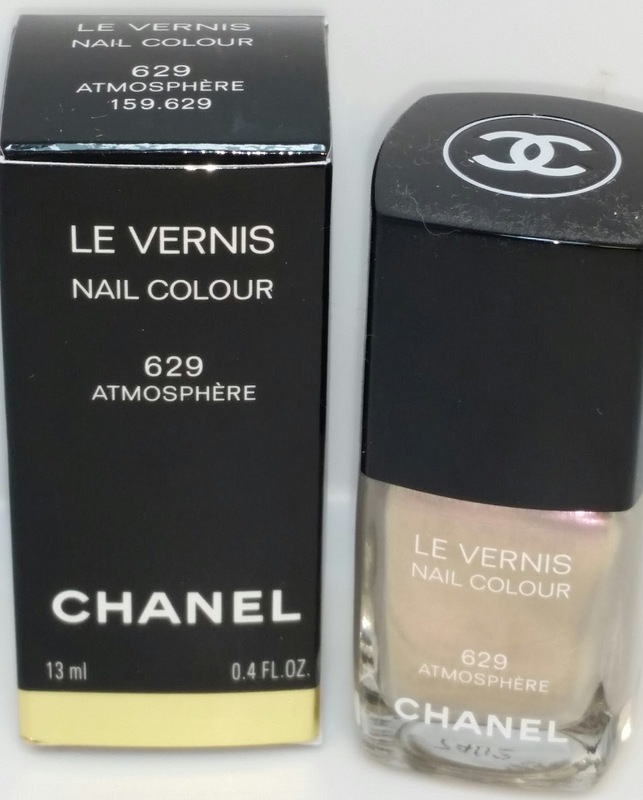 629 ATMOSPHERE is a limited edition nail polish that is part of the Chanel 2014 Fall Collection ÉTATS POÉTIQUES. In the bottle the nail polish is a pearlescent milky pink and white collection of micro fine sparkle. 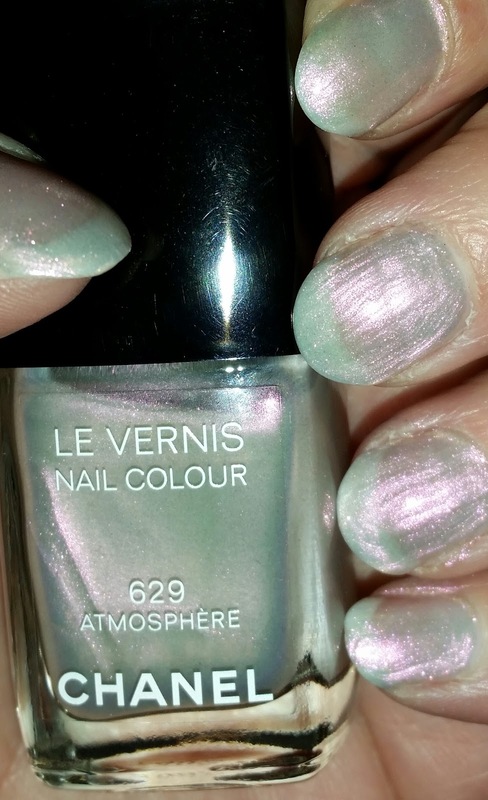 On the nails the nail polish takes on a luminous pearlescent semi-sheer glow with pink, purple and white reflective sparkles. Due to the iridescent quality of the nail polish it may look pink, or pink-sh purple or even a grey-ish purple on the nails when the light reflects off of them. Overall this is a nice polish to have but it will look a tad streaky and it will emphasize any nail imperfections. In the pic below I applied two coats and the white tips of my nails are still somewhat visible so it isn't quite opaque. 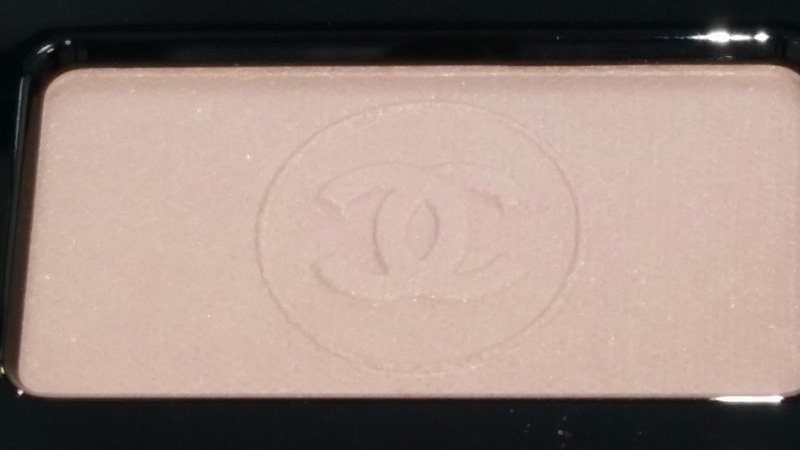 The Chanel nail polish currently retails for $27.00 USD and it contains .4 fl oz of product. 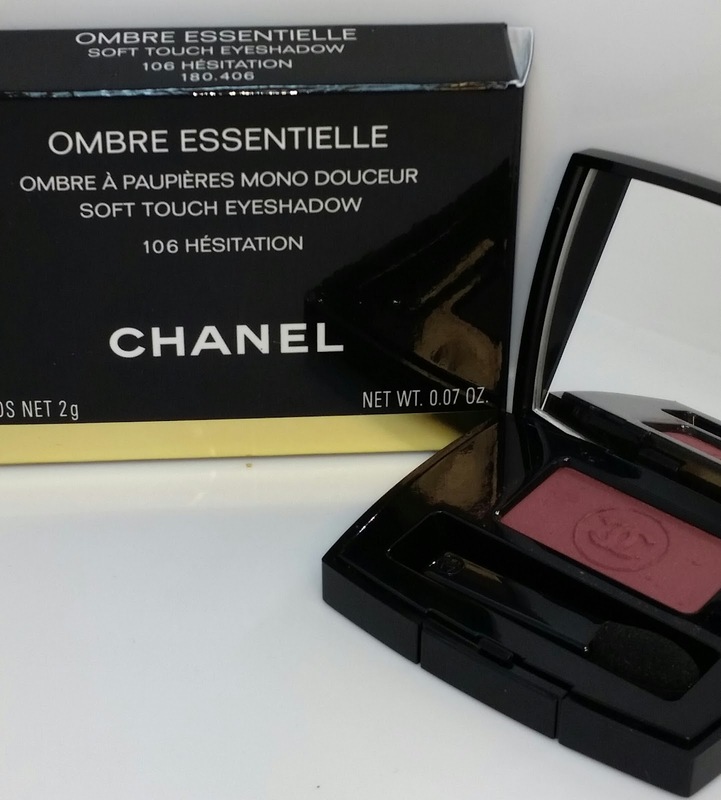 106 HESITATION is part of the Chanel 2014 Fall Collection ÉTATS POÉTIQUES. 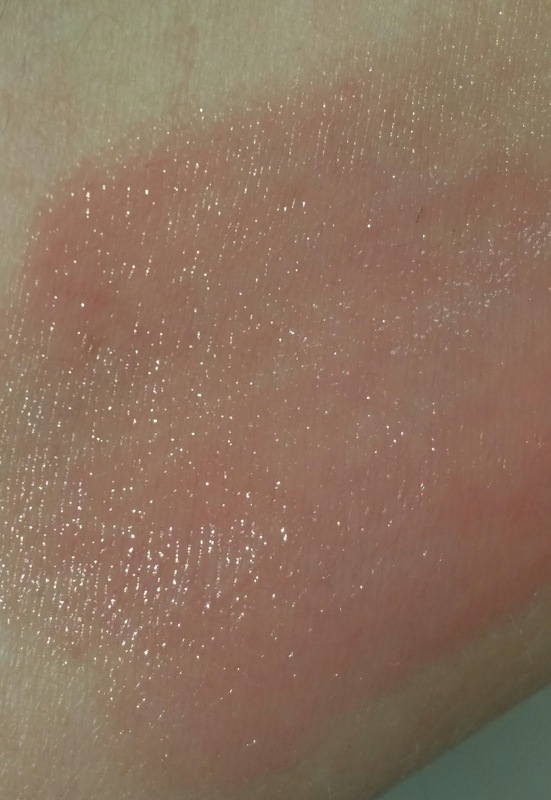 It is a pink plum eyeshadow with miniscule light reflecting particles. 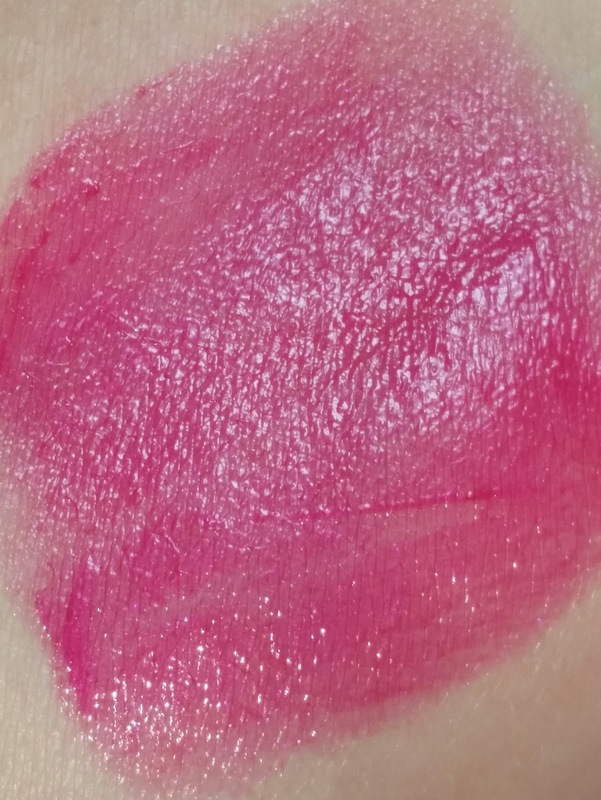 In the pan it looks a tad cranberry but once swatched the gorgeous pink plum color is readily apparent. 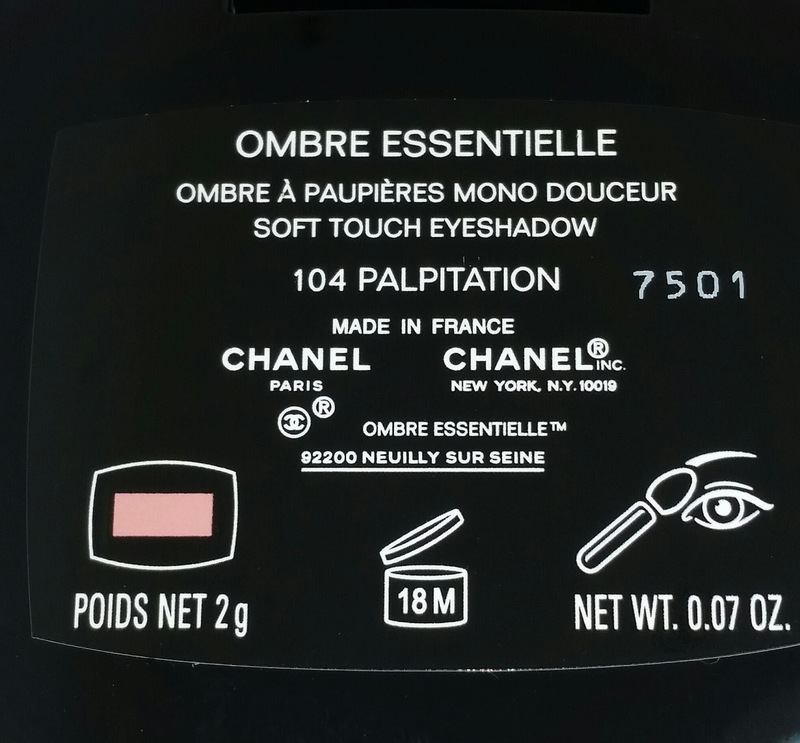 This beautiful, highly pigmented eyeshadow is the gem of the six single eyeshadows released with this collection (I purchased all of them except Admiration). Hesitation is a finely milled eyeshadow with a texture that looks and feels buttery soft and smooth with none of the excessive powdery mess found with the others eyeshadows. 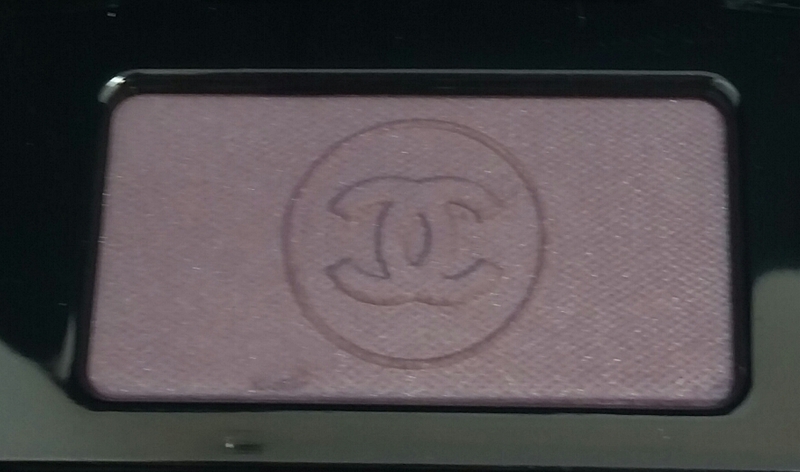 I love everything about it; this is definitely a unique "Must Have" Chanel eyeshadow for your collection. 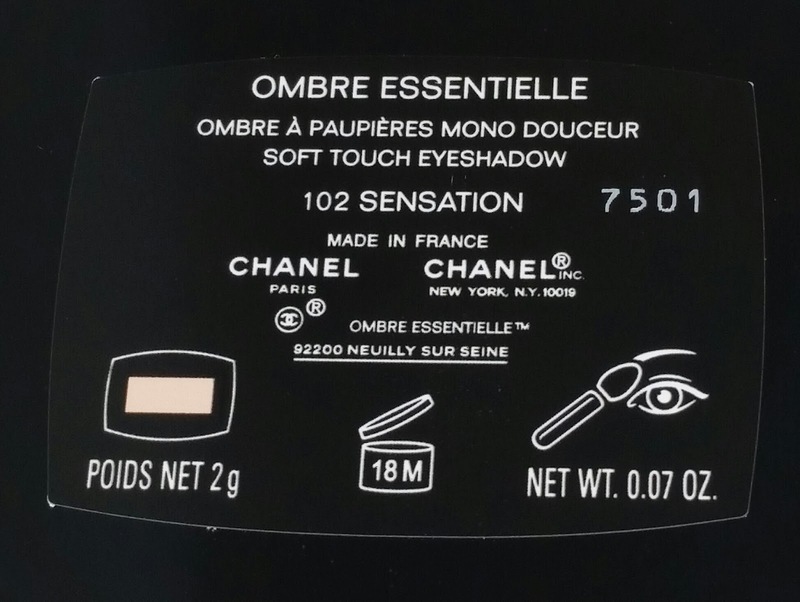 The texture for the majority of the ombre essentielle soft touch eyeshadows is soft and smooth but quite powdery. Even though the eyeshadows look bold in the pan they actually blend down to a rather sheer and soft look. To amp up the color I like to apply the eyeshadow with a dampened brush to allow for a more vibrant swatch and to lessen the fallout from the eyeshadow. Wear times can vary depending on how heavy these are applied. When applied dry they wear for about six to seven hours with significant fading. When applied wet or slightly damp the wear time was longer (about ten hours) with slight fading. 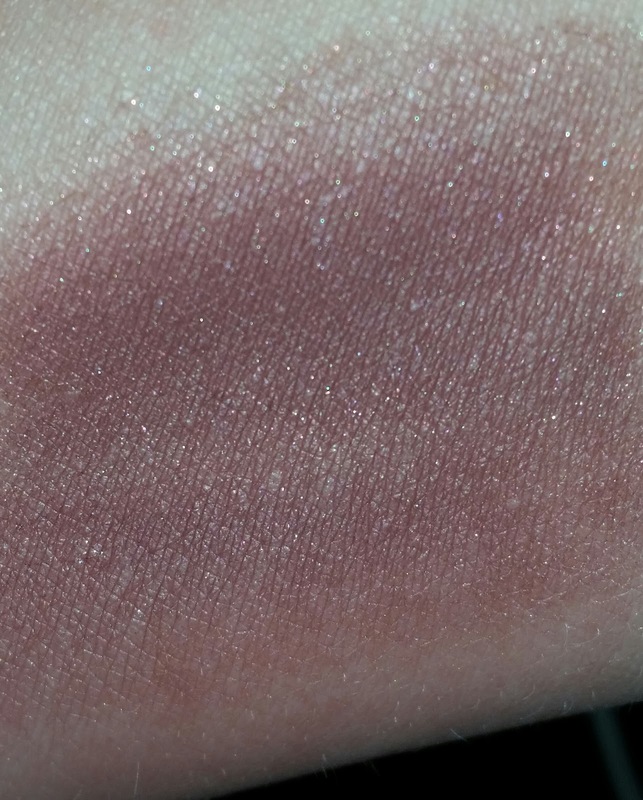 Sensation is the fourth eyeshadow from this collection that I have reviewed and it was the most disappointing. 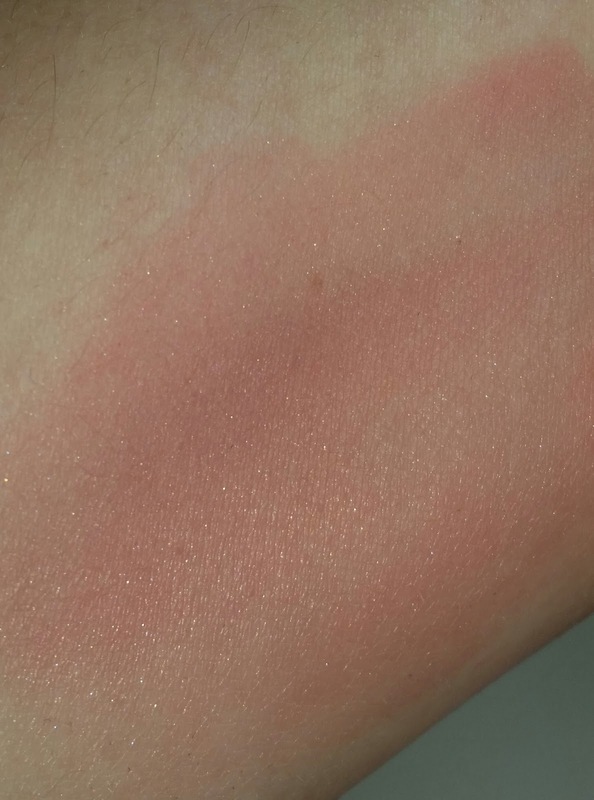 When swatched it barely showed up on my arm and on my eyes it wasn't even visible. In my opinion, Sensation was the most frustrating, powdery mess of all six eyeshadows. I just couldn't get it to work. Although it might be okay for some Sensation was a total fail for me. The texture for the majority of these ombre essentielle soft touch eyeshadows is soft and smooth but quite powdery. Even though the eyeshadows look bold in the pan they actually blend down to a rather sheer and soft look. To amp up the color I like to apply the eyeshadow with a dampened brush to allow for a more vibrant swatch and to lessen the fallout from the eyeshadow. Wear times can vary depending on how heavy these are applied. When applied dry they wear for about six to seven hours with significant fading. When applied wet or slightly damp the wear time was longer (about ten hours) with slight fading. 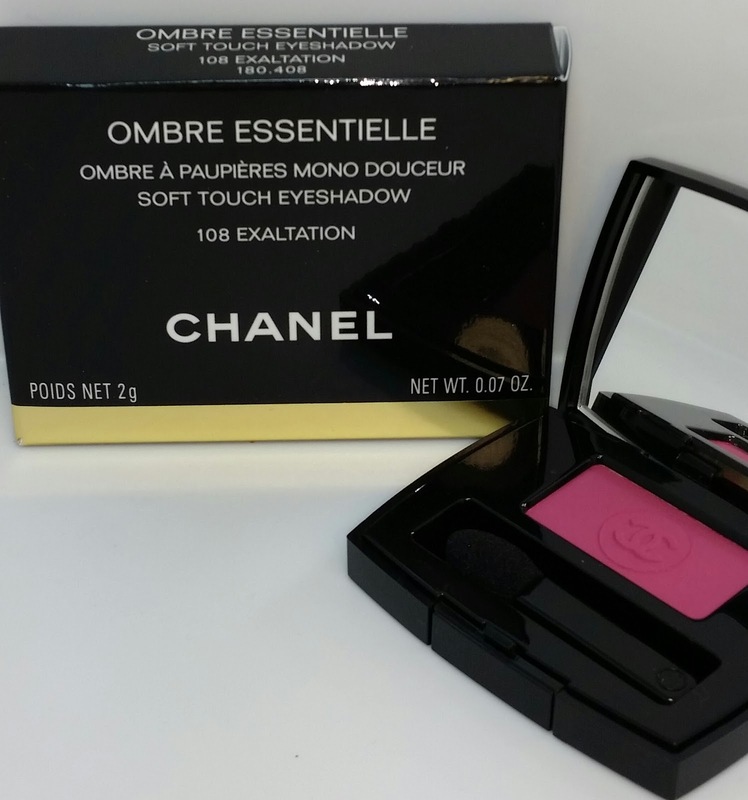 104 PALPITATION is a limited edition eyeshadow from the Chanel 2014 Fall Collection ÉTATS POÉTIQUES. 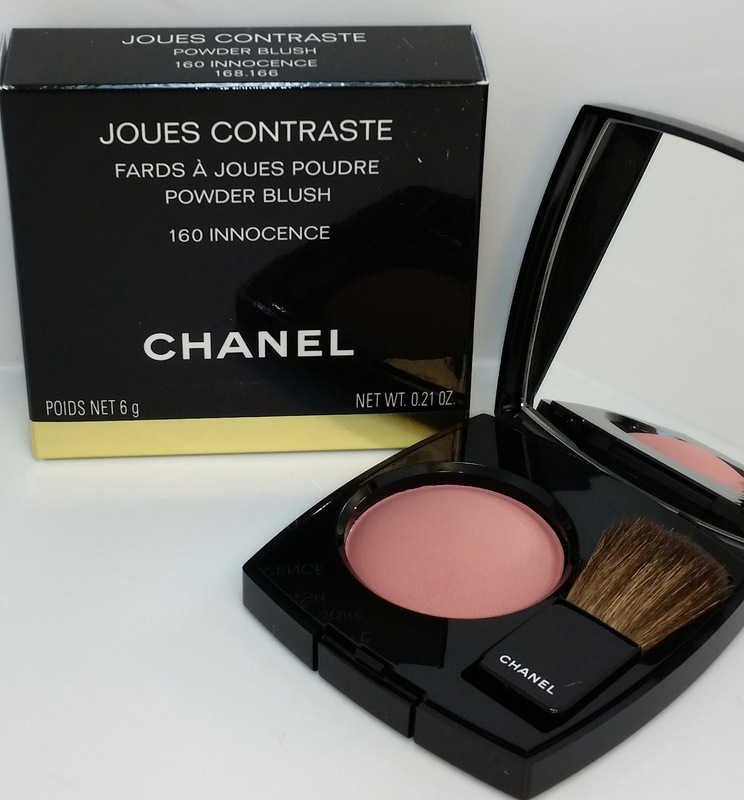 It is described as a soft rose but it does have hints of pale peach undertones. There are six single eyeshadows released with this collection and I purchased all of them except one - Admiration. 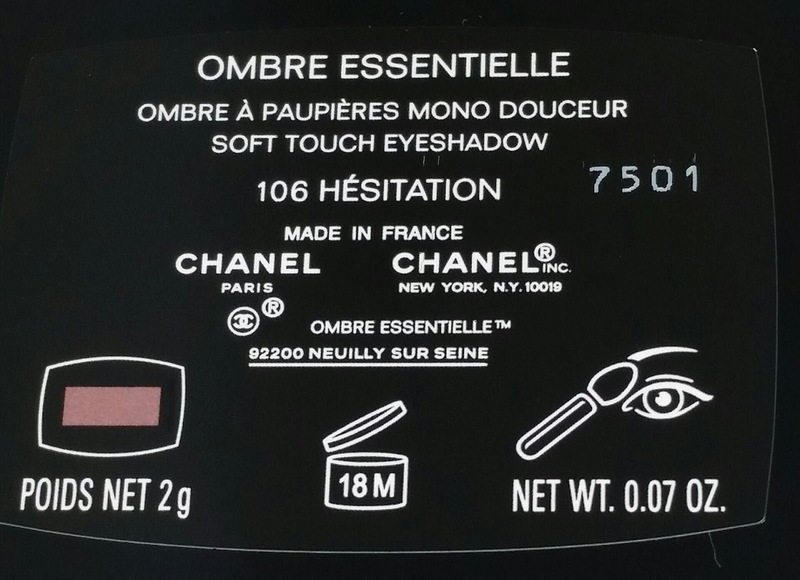 The Chanel Ombre Essentielle soft touch eyeshadows currently retail for $29.50 USD and contain .07 oz of product. 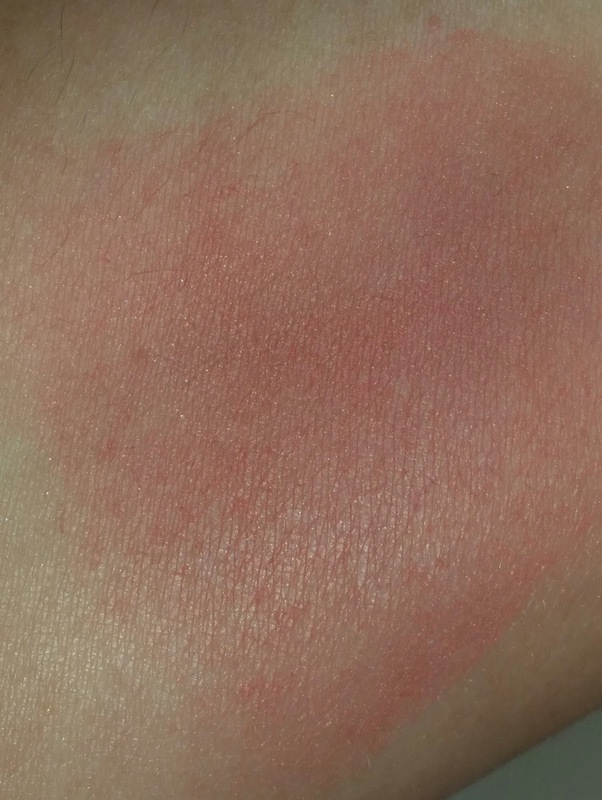 Palpitation is a very beautiful, unique Chanel color that can also be worn not only as an eyeshadow but also as a blush. 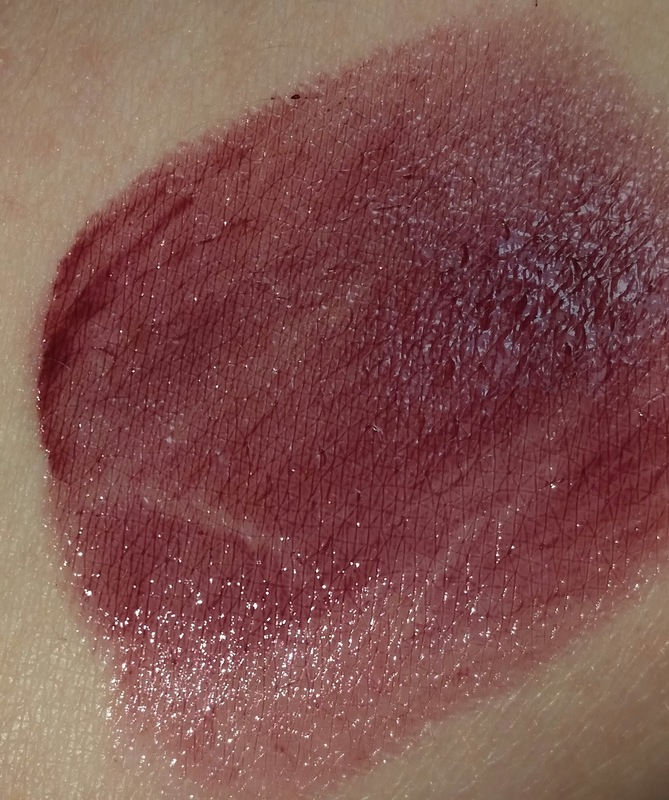 As an eyeshadow it wasn't as powdery as Pulsion and Exaltation - it had a smoother finish and I didn't experience any fall out. 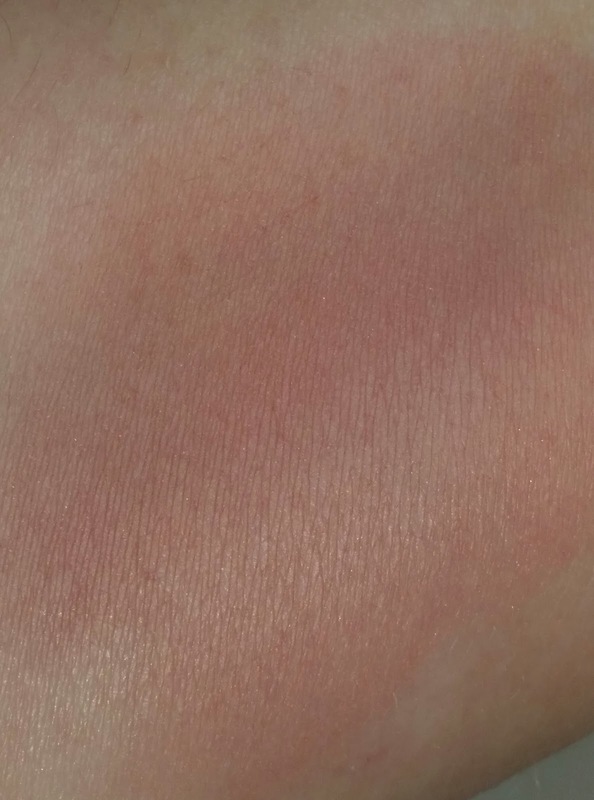 As a blush it gave my cheeks a soft pink peach glow that really brightened up the face. 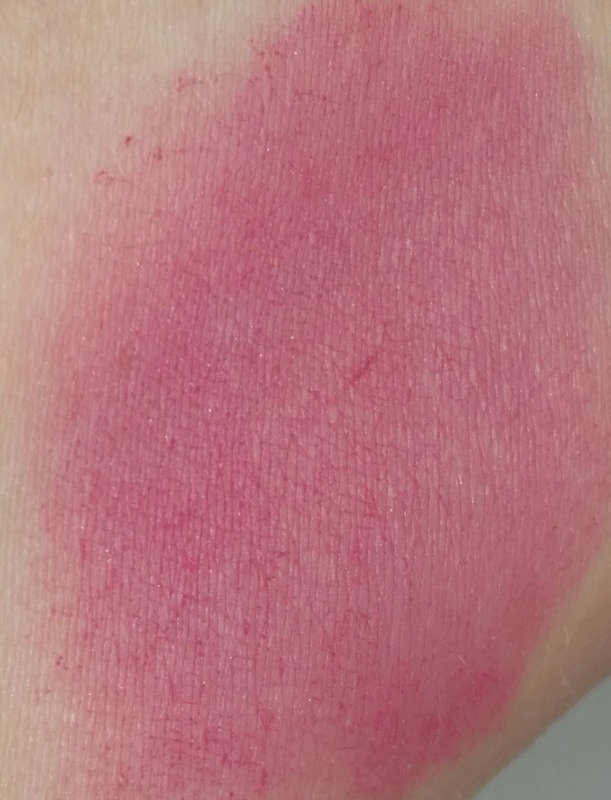 If I'm being truly honest I expected Palpitation to swatch brighter and more pink. It just doesn't seem to align with the whole bold and bright color scheme but I'm still super excited that I have it. The texture for the majority of these is soft and smooth but quite powdery. Even though these eyeshadows look bold in the pan they actually blend down to a rather sheer and soft look. To amp up the color I like to apply the eyeshadow with a dampened brush to allow for a more vibrant swatch and to lessen the fallout from the eyeshadow. Wear times can vary depending on how heavy these are applied. When applied dry they wear for about six to seven hours with significant fading. When applied wet or slightly damp the wear time was longer (about ten hours) with slight fading. 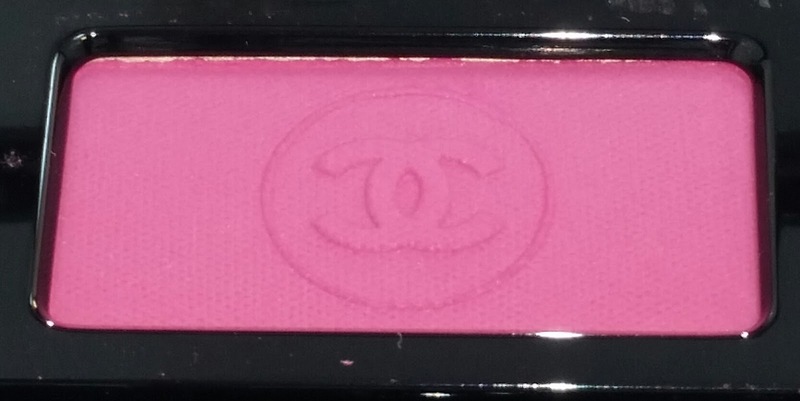 108 EXALTATION is a bright pink eyeshadow from the Chanel 2014 Fall Collection ÉTATS POÉTIQUES. There are six single eyeshadows released with this collection and I purchased all of them except one - Admiration. 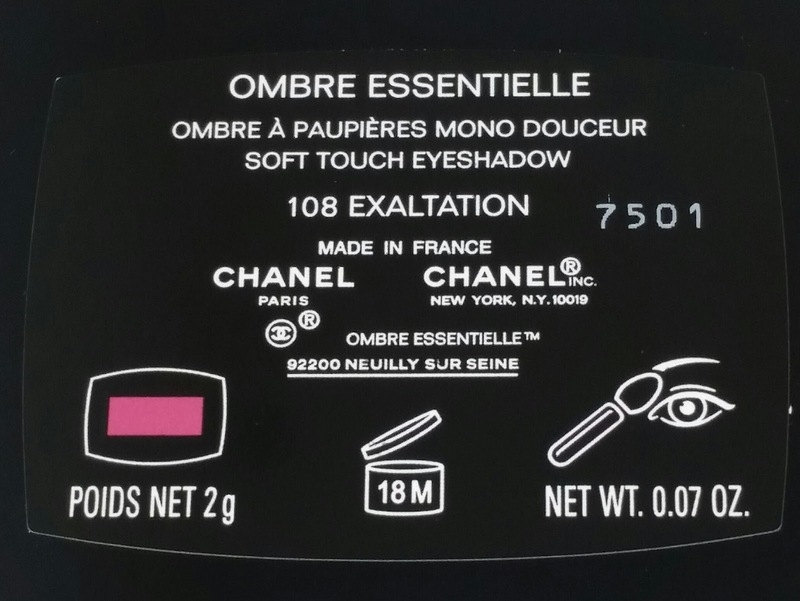 The Chanel Ombre Essentielle soft touch eyeshadows currently retail for $29.50 USD and contain .07 oz of product. 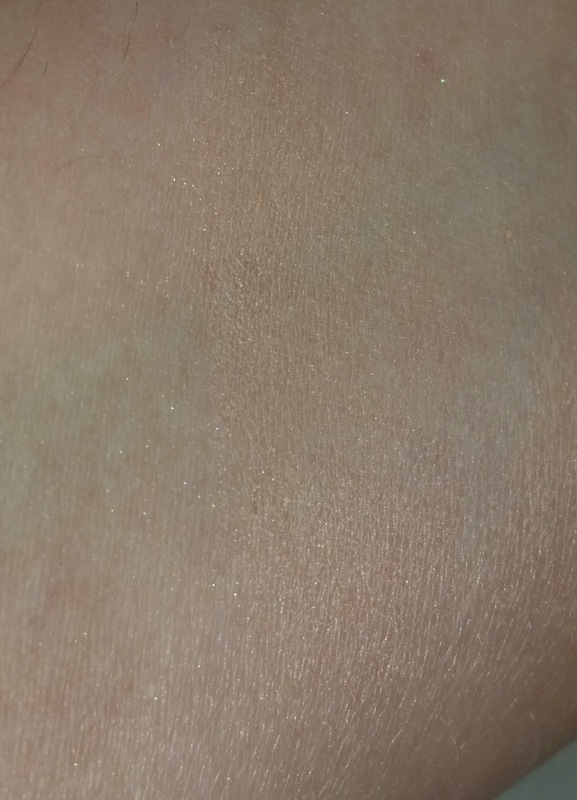 Exaltation shows up brighter when swatched but during application it loses some of its vibrancy. 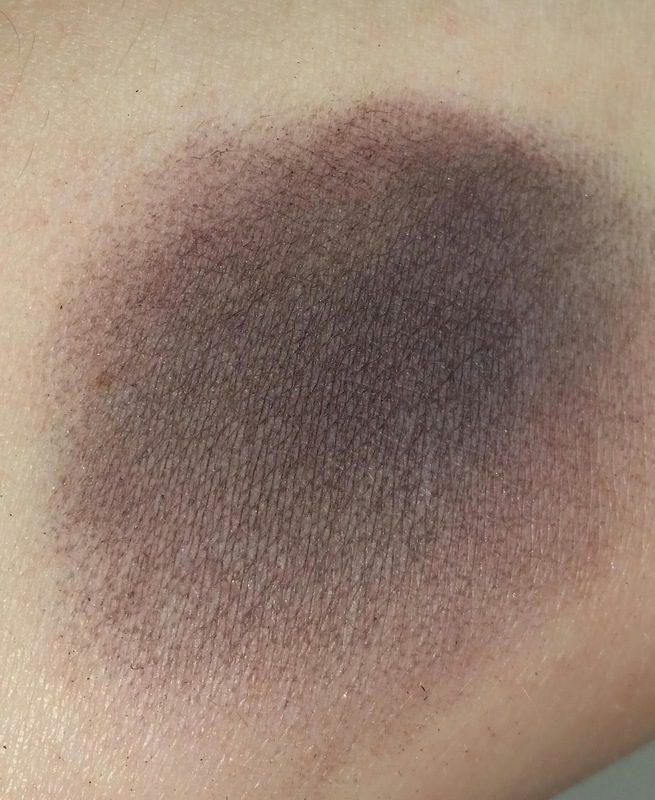 It is a very beautiful and unique eyeshadow that can also be worn as a blush as well. 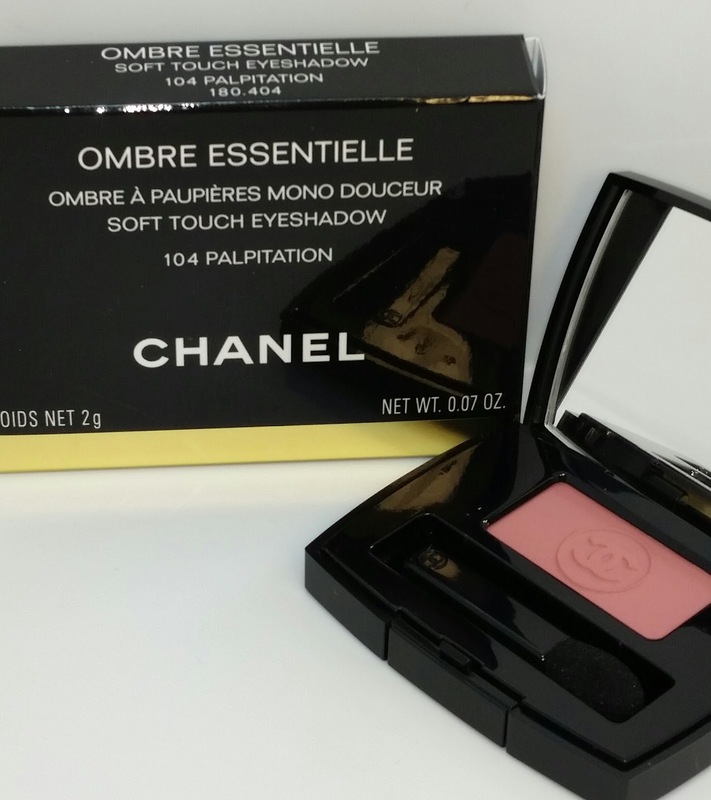 I currently use the Chanel blush Emotion (see swatches here) to do double duty as both an eyeshadow and blush. 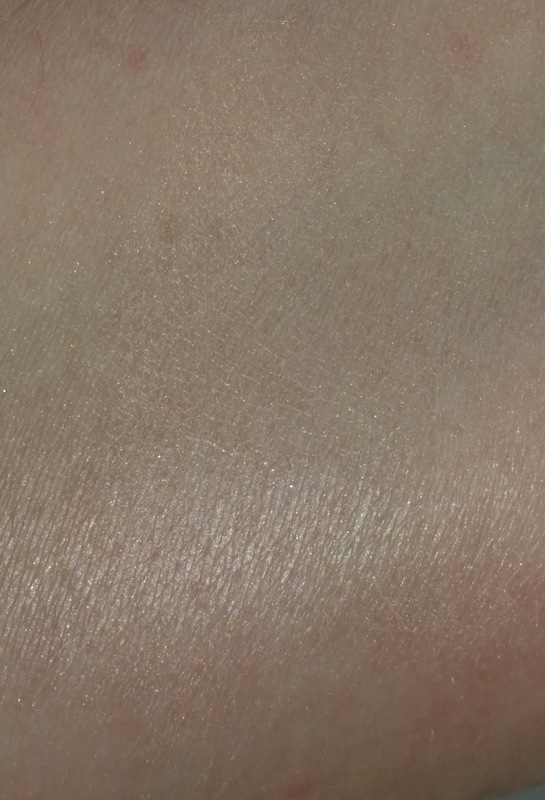 The colors for both of these are quite similar - Exaltation (might be a smidgen brighter) and Emotion has a smoother finish and isn't as powdery. 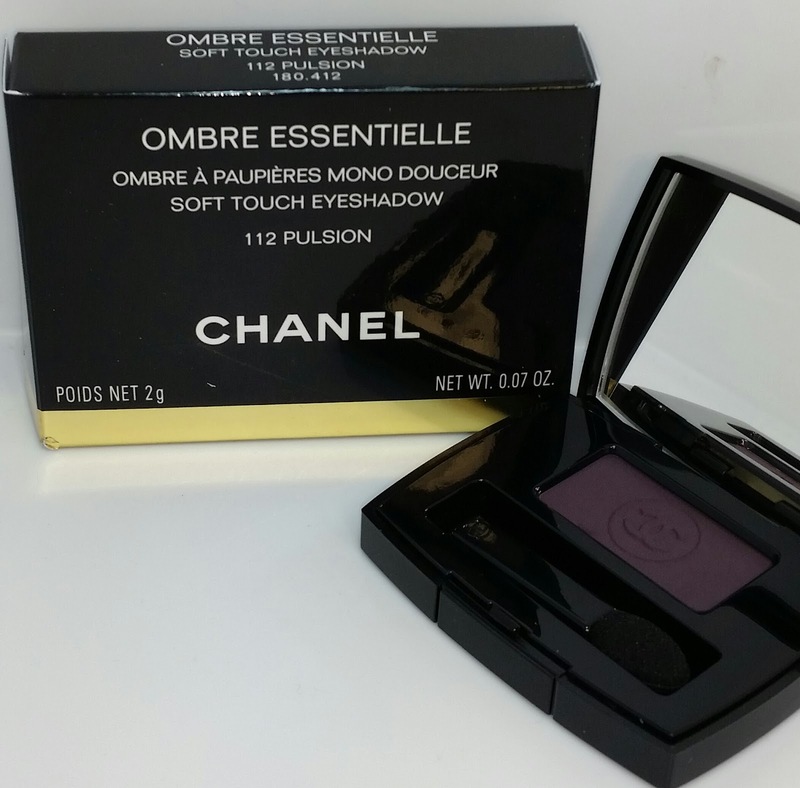 112 PULSION is a smokey dark plum eyeshadow from the Chanel 2014 Fall Collection ÉTATS POÉTIQUES. There are six single eyeshadows released with this collection and I purchased all of them except one - Admiration. With my green eyes and pale skin I just can't pull off a yellow eyeshadow. The texture for the majority of these is soft and smooth but quite powdery. Even though these eyeshadows look bold in the pan they actually blend down to a rather sheer and soft look. To amp up the color I like to apply the eyeshadow with a dampened brush to allow for a more vibrant swatch and to lessen the fallout from the eyeshadow. Wear times can vary depending on how heavy these are applied. 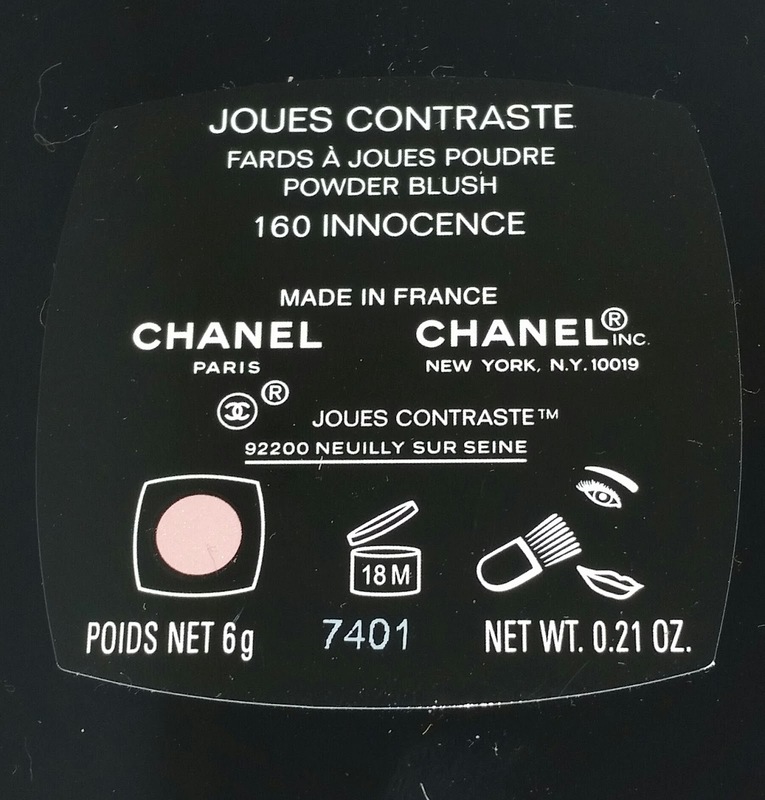 When applied dry they wear for about six to seven hours with significant fading. When applied wet or slightly damp the wear time was longer (about ten hours) with slight fading. The Chanel Ombre Essentielle soft touch eyeshadows currently retail for $29.50 USD and contain .07 oz of product. 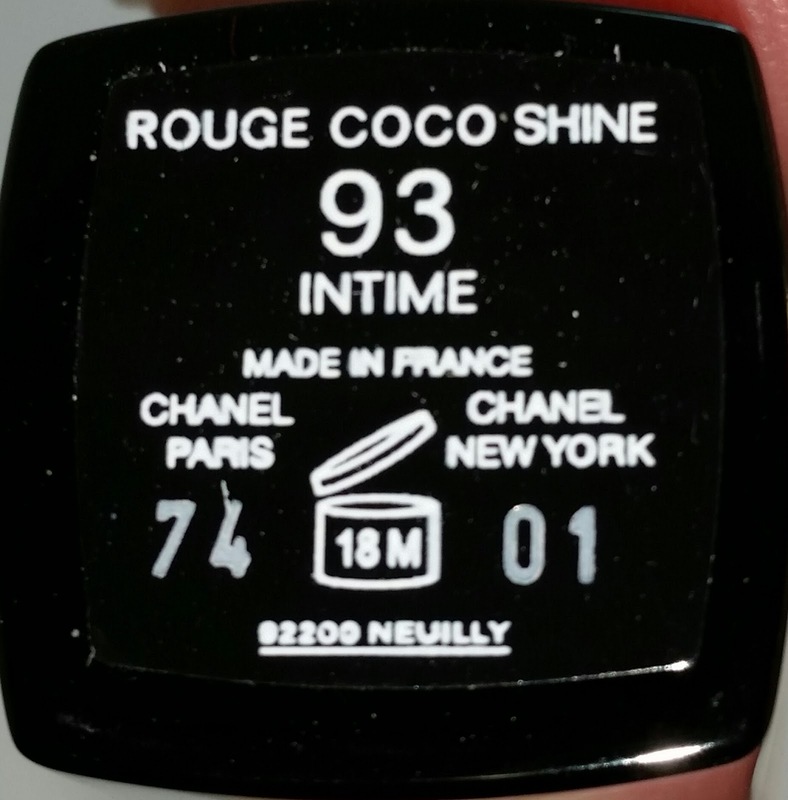 93 INTIME is a sheer Rouge COCO Shine that is part of the Chanel 2014 Fall COLLECTION ÉTATS POÉTIQUES. There are four Rouge COCO Shines released with this collection: Aura (check out the link below), Viva (check out the link below), Confident (check out the link below) and Intime. Two of them, Aura and Viva are highly pigmented with loads of vibrant color and shine. While the other two, Confident and Intime, are rather sheer and deposit a hint of color with a nice glossy finish. Each of the Rouge COCO Shines currently retail for $35.00 USD and they each contain .1 oz of product. 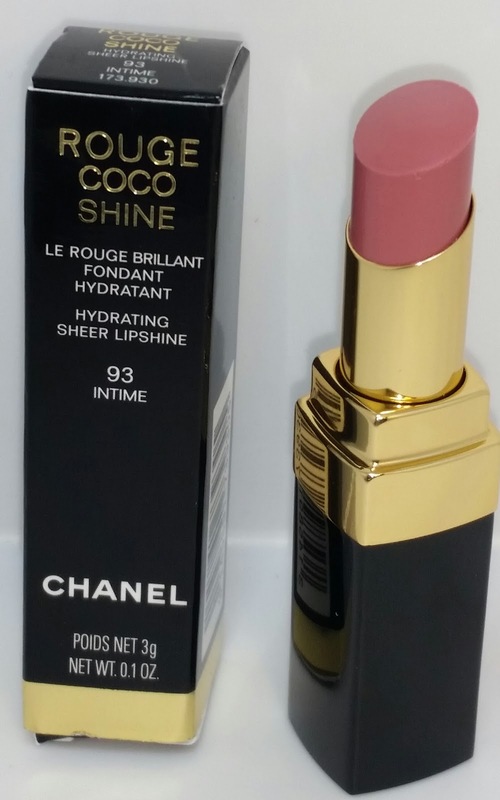 Intime Rouge COCO Shine is a soft pink with hints of peach undertones and is a semi-sheer lipshine. 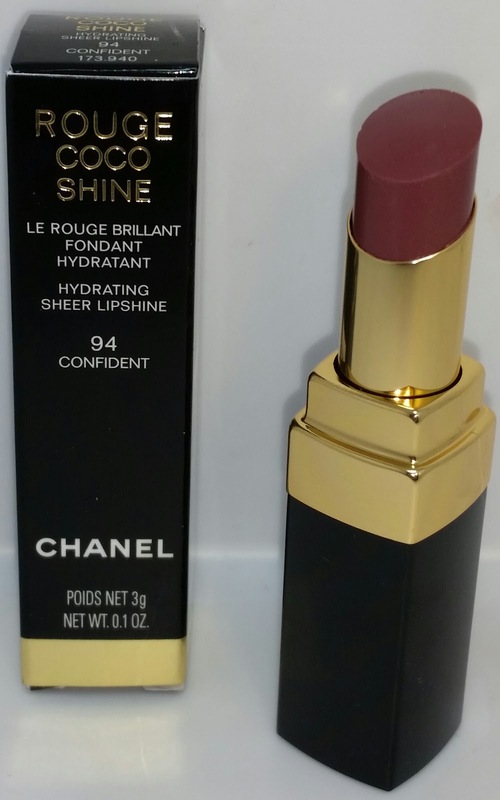 My review for 93 Intime will echo my sentiments identically to Chanel 94 Confident Rouge COCO Shine. Both are semi-sheer and deposit hints of colour. The wear time is two hours with no feathering or sinking into the lip lines. In my opinion, and how I feel personally, I wouldn't spend a lot of money on these two. 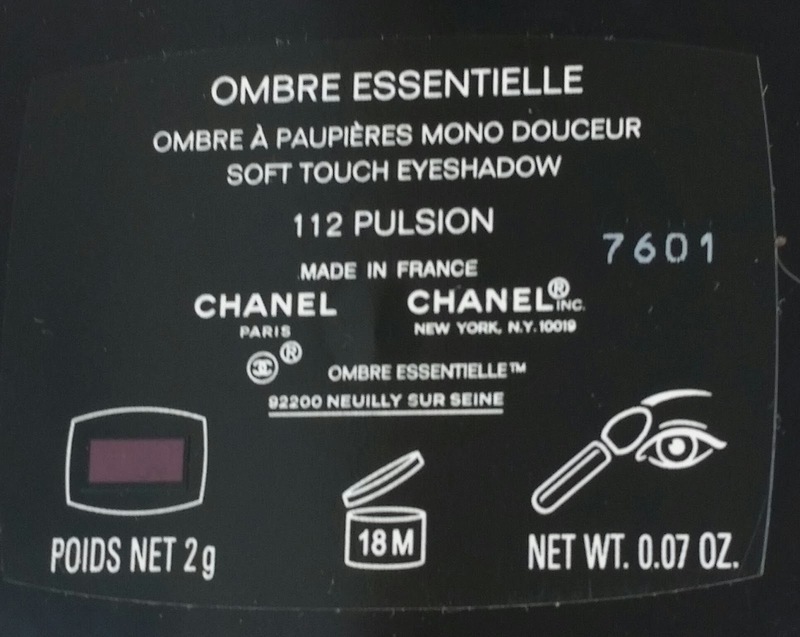 They apply and wear like a tinted glossy balm and don't give much coverage but they aren't supposed too. Overall it is a "nice to have" but not necessarily a "must have" for your lip collection especially for $35.00. 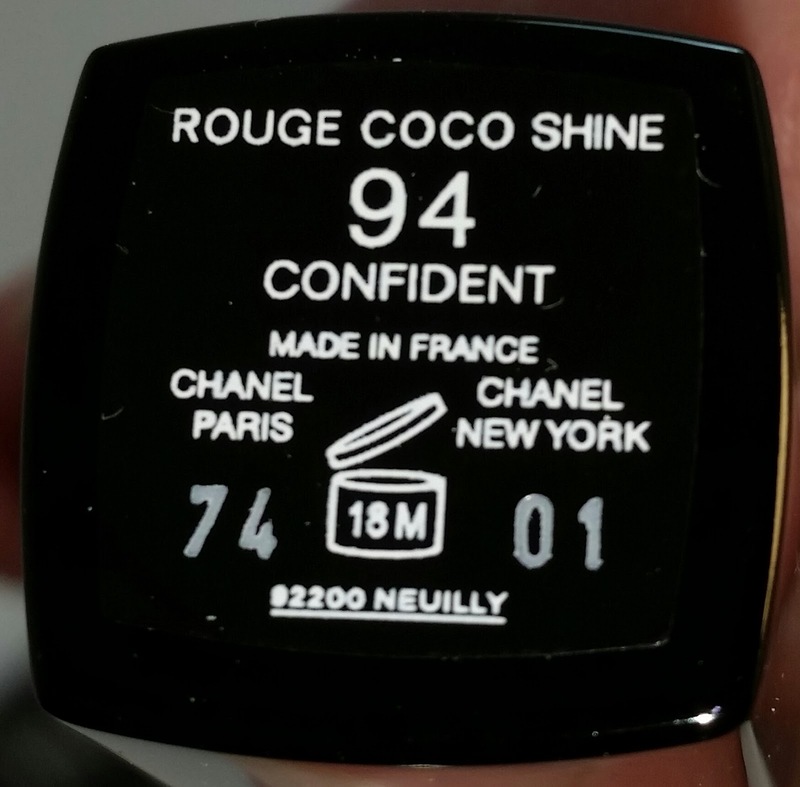 94 CONFIDENT is a sheer Rouge COCO Shine that is part of the Chanel 2014 Fall COLLECTION ÉTATS POÉTIQUES. 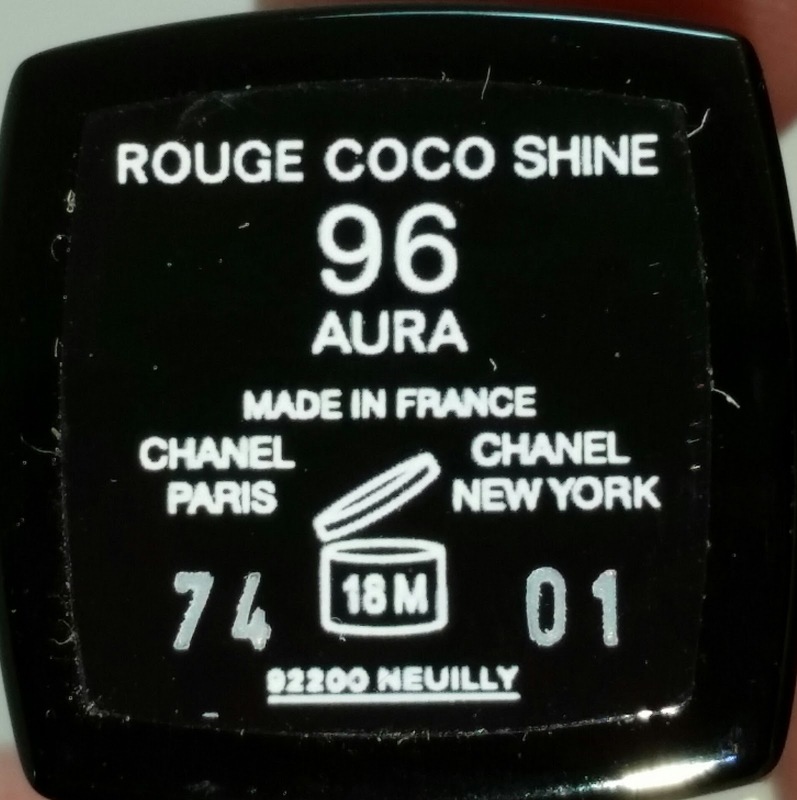 There are four Rouge COCO Shines released with this collection: Aura (check out the link below), Viva (check out the link below), Confident and Intime. Two of them, Aura and Viva are highly pigmented with loads of vibrant color and shine. While the other two, Confident and Intime, are rather sheer and deposit a hint of color with a nice glossy finish. Each of the Rouge COCO Shines currently retail for $35.00 USD and they each contain .1 oz of product. Confident Rouge COCO Shine is a mauve-y semi-sheer lipshine. It wore for about two hours with no feathering or sinking into the lip lines. 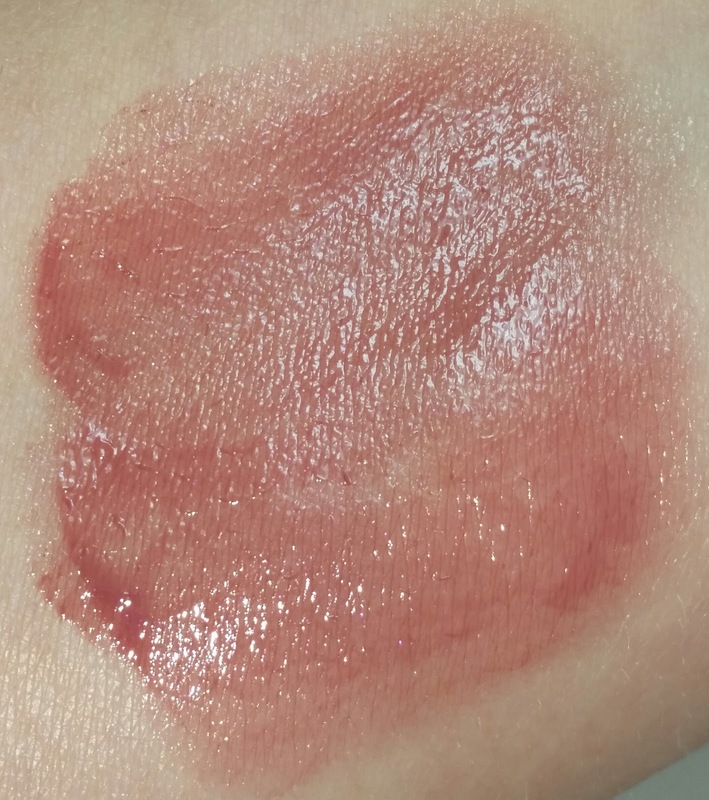 It applies and wears like a tinted glossy balm and it doesn't give much coverage but it isn't supposed too. Overall it is a "nice to have" but not necessarily a "must have" for your lip collection especially for $35.00. 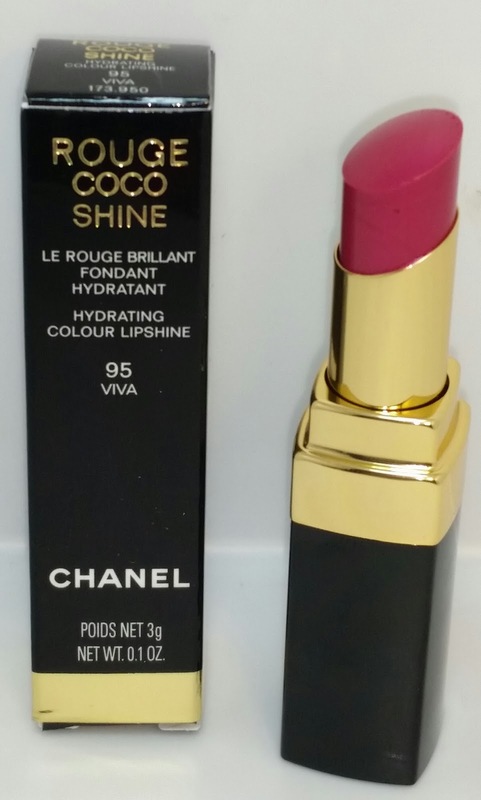 95 VIVA is a limited edition Rouge COCO Shine that is part of the Chanel 2014 Fall COLLECTION ÉTATS POÉTIQUES. There are four Rouge COCO Shines released with this collection: Aura, Viva, Intime, and Confident (check out the link below to read about the entire collection). I have already reviewed Aura (see link below) and I will be reviewing the other two shortly. 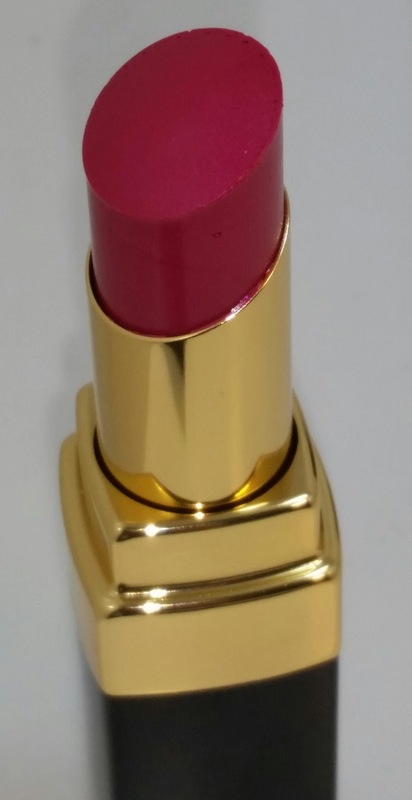 VIVA is described as a vibrant fuchsia lipshine (it definitely fits that description) that is semi-opaque with one application, applies with a smooth finish and glossy shine, and wears for about three to four hours with minimal fading. It didn't settle into my lip lines, there was no feathering or extreme fading and it kept my lips moisturized the entire wear time. 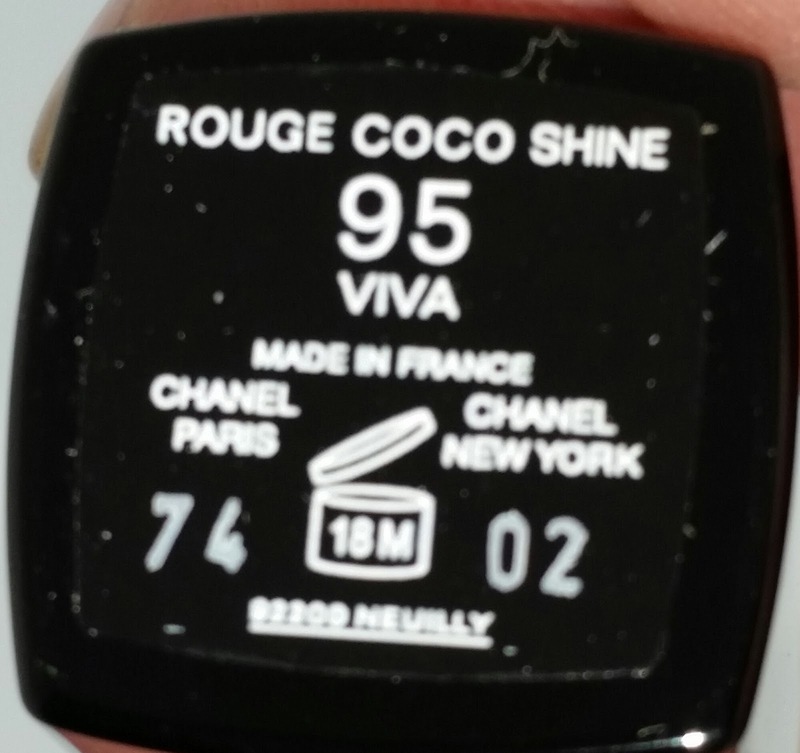 Viva Rouge COCO Shine currently retails for $35.00 USD and it contains .1 oz of product. 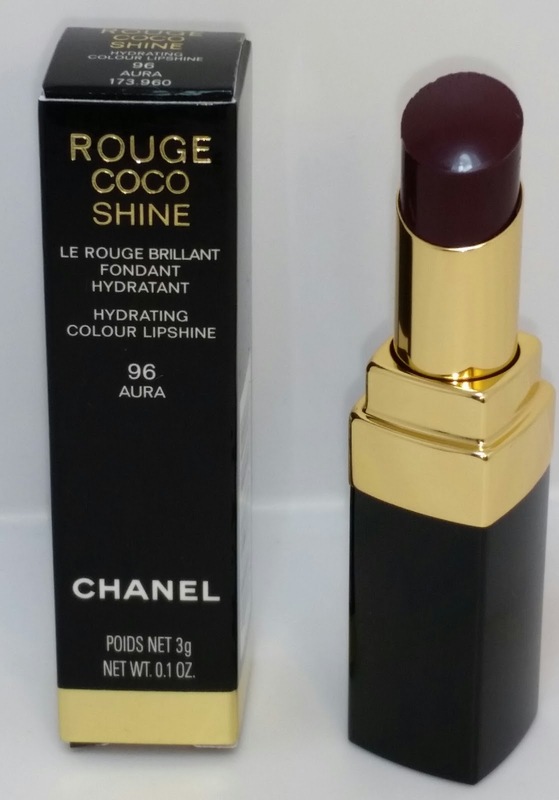 96 AURA is one of four Rouge COCO Shine lipsticks to be launched with the Chanel 2014 Fall COLLECTION ÉTATS POÉTIQUES. At first glance Aura looks extremely dark in the tube but it is really quite an amazing, glossy and highly pigmented lipshine. The color is a dark plum that is semi opaque with one application. Wear time for Aura is typical for lipshines - it wore for about three to four hours and kept my lips moisturized during that time as well. It didn't seem to sink into the lip lines and there was no feathering around the edges of my lips either. It currently retails for $32.50 USD and it contains .1 oz of product.